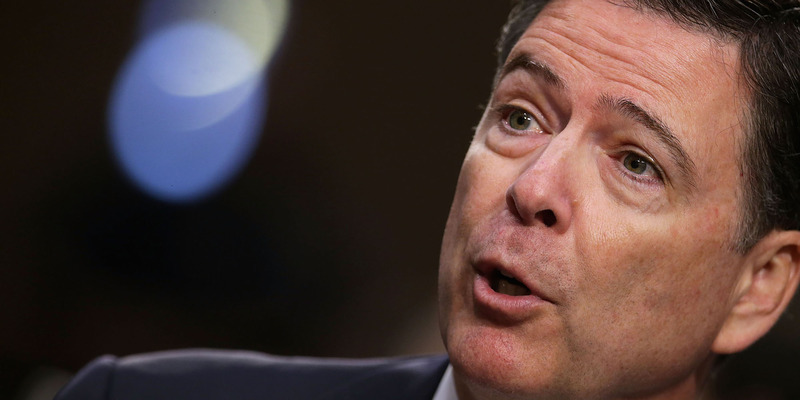 Former FBI Director James Comey blasted the controversial Republican memo. “Dishonest and misleading memo wrecked the House intel committee, destroyed trust with Intelligence Community, damaged relationship with FISA court, and inexcusably exposed classified investigation of an American citizen,” he wrote in a tweet. Former FBI Director James Comey took aim at the controversial memo authored by House Intelligence Committee chairman Devin Nunes’ staff, which was declassified by President Donald Trump and released Friday. Comey was abruptly fired by Trump last May, and his dismissal led to the appointment of special counsel Robert Mueller to oversee the investigation into Russian election interference and whether the Trump campaign colluded with Moscow. Comey’s firing is also the subject of whether Trump attempted to obstruct justice in the investigation. Trump declassified the memo, even though his appointees at the Department of Justice and FBI – including FBI Director Christopher Wray, whom Trump nominated to replace Comey – pushed him not to authorise its release. The memo, which was compiled by Republicans on the House Intelligence Committee, alleges abuse by the FBI and Justice Department in how it obtained surveillance powers on former Trump campaign associate Carter Page. Justice Department officials have called the memo reckless and a threat to national security, while Democrats and some Republicans have slammed the memo as a partisan hit job.